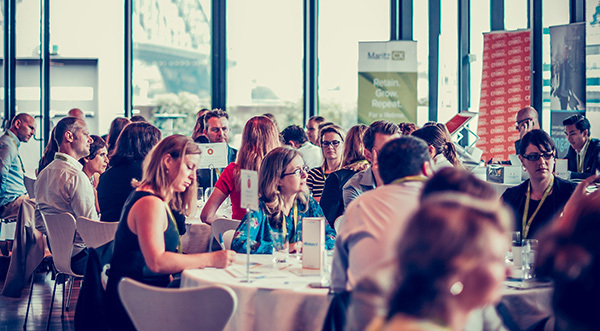 The “Adapting to the Contact Centre of the Future” roundtable at this month’s Customer360 Forum attracted marketing, customer experience and contact centre leaders from some of Australia’s and indeed the world’s biggest companies. What’s interesting is that Marketing rarely had a seat at the table at contact centre forums in the past, yet is increasingly playing a role. The digital world and new corporate obsession with the Customer are bringing together contact centre and marketing with the force of gravity, breaking down silos and necessitating a “team effort” to achieve overarching customer experience goals. Fortunately, an array of innovative technology solutions have sprung up to enable this new collaboration, with buy-in and co-investment from marketing and contact centre budgets. A classic example is speech analytics, which uses software to analyse customer conversations with call centre agents en masse. The benefits to marketing include being able to spot how customers are referencing competitor offers or reacting to a new campaign, while the contact centre can hone in on compliance and training issues, even identifying individual agents whose performance needs to be managed. The technology allows CX leaders to see the sentiment of customers (for example, the percentage of calls where customers are getting angry and shouting) in a simple dashboard. Australian organisations have been slow to embrace speech analytics but it’s poised for future adoption. Call tracking is another technology connecting the dots. This cool interface enables marketers to measure the performance of their online campaigns (such as Adwords) by capturing the number of people who view them and then contact the call centre. Marketers can even see which specific keywords people are searching in Google, are driving sales to the phone. After all, some 61% of mobile searches result in a phone call. It was interesting to note that many Voice of Customer programs are incorporating Customer Effort as a key metric, sometimes overriding or displacing Net Promoter Score. After all, don’t customers just want to have their inquiry or issue resolved as quickly and effortlessly as possible? The question of just how personalised customers want companies to be was hotly debated, with Australian consumers appearing polarised. A survey by Verint of 2000+ consumers here found “58 percent regard customer service as a transaction, while 42 percent said the service should reflect them as a person. Just over half (51 percent) appreciate it when service is personalised to them while just under half (49 percent) are suspicious of how their data is used.” The key is for companies not to “spook” customers with insights that the customer would not expect. An example shared was the father who noticed his teenage daughter was receiving offers for baby products, while she hadn’t yet revealed to him that she was pregnant – the retailer knew first! The roundtable also covered the link between contact centre agent engagement and customer engagement. Gamification is one approach which can enhance the employee experience in what is – let’s face it – often a monotonous environment. In a fun and motivating way, games drive employees to succeed and perform at their personal best, and are also perfect for new hire onboarding. Gamification: a trend to watch. With all the talk about omni-channel customer service over the last several years, the reality is that very few companies have that magical single view of the customer across all channels, which enables a seamless experience. The most common obstacle cited was legacy systems. With customer experience having replaced product and pricing as the key differentiator in business today, this is where startup businesses and challenger brands pose a threat to large enterprise, which cannot be ignored. The channel which provoked the most lively discussion was web chat. The companies that have already embraced web chat are on the whole very happy – customer satisfaction with the channel is high, and operating costs are low, as one contact centre agent can handle 2-4 chat sessions concurrently. One household-name Australian retailer manages 50,000 chats a month, deliberately driving consumers to chat rather than the telephone – and from chat, into the stores. Chat is a prime candidate for offshoring. Whereas the Philippines is the most popular destination for voice, “India is great at web chat,“ according to one of Australia’s biggest telcos. Other emerging outsourcing destinations are South Africa (ideal for sales and retention), and Fiji, where English is the lingua franca, the people are renowned for friendly customer service, workforce attrition is low, and the costs are at least 50% less than Australia. It’s no wonder Fiji has been dubbed the contact centre industry’s best-kept secret! Sharon Melamed is a digital entrepreneur with 25 years’ experience in contact centres and outsourcing. In 2012, she launched Matchboard, a free website where companies can enter their needs and find “right-fit” vendors of solutions across the customer lifecycle. In 2014, she launched FindaConsultant, an online portal of business consultants. She holds a double honours degree and University Medal from the University of Sydney, and speaks five languages.